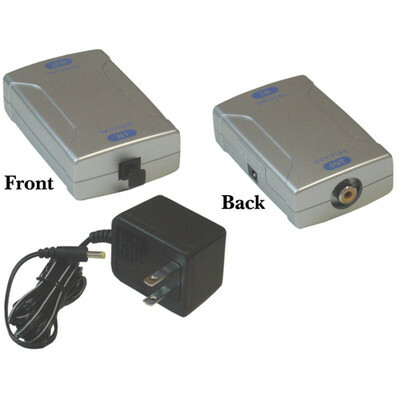 More Product InfoThis product is designed to be used to convert a fiber optic (Toslink) digital audio signal into a digital coaxial signal. If a receiver / amp only has digital coax inputs or all the optical inputs are full, this device is the perfect solution to maintain digital audio throughout the system. This product supports all digital surround sound fields. Great device for home theater systems that need a conversion to digital coax (i.e not enough TOSlink ports). The power supply cable was long enough to reach the distant outlet as well.